Summer months have become unbearable. During such times, if you can get some relief at home or work, then there can be nothing like it. The best way to beat the heat is to spend some time on an air conditioner. There are two types of air conditioners available in the market for home use - window and split. In most of the cases, it is seen that the users prefer a split AC over a window AC because the former make less noise than the latter. Split ACs are also available with inverter technology that can save on your power bills at the end of the month. This helps you to use your AC for as long as you want without worrying about a massive electricity bill. 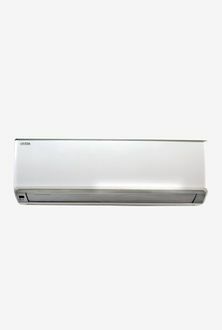 There are several manufacturers of split air conditioners such as Voltas, Kenstar, Lloyd, Sansui, and Mitashi. You may check the price list for 26 Split ACs under 25000 updated on 23rd April 2019. Stay safe from the sweltering summer days with the help of a split AC. These are available in different capacities and come with various star ratings. Split air conditioners are available in capacities of 1-Ton, 1.5-Ton, and 2-Ton and come with either a 2-star or a 3-star or 5-star ratings. Usually, either a 3 star or a 5 star rated split AC is always better since these have better energy efficiency. 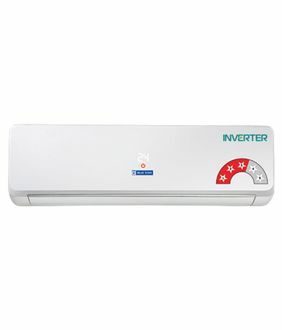 Split ACs under 25000 are easily available on top online shopping sites such as Infibeam, Amazon, Flipkart, and TataCliq. This makes it very simple to choose the best split AC as per your budget and requirement. Buy online at the lowest price by making a quick price comparison across the various online stores.